Looking for a space just for you? 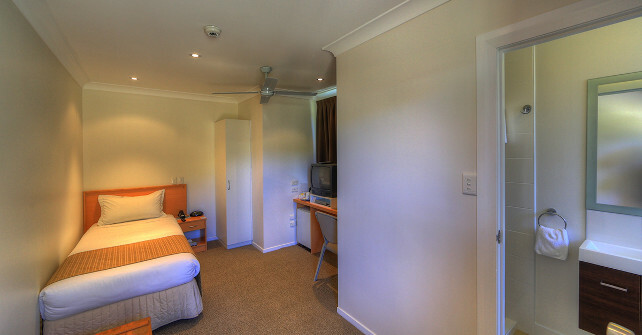 Our modern Economy Single rooms have recently undergone major renovations and are the perfect option for the budget oriented traveller. Located just metres from the swimming pool, each room is equipped with a single bed, brand new private bathroom, satellite television, DVD player, refrigerator, IDD phone and tea/coffee facilities.